And a lot of wonderful, intelligent, incredibly good-looking people with impeccable taste have been asking me if there will be a sequel. And the answer is… YES! 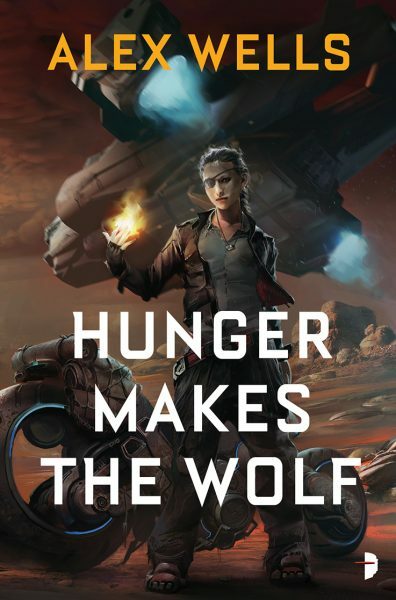 As a matter of fact, funny story, but I literally typed “THE END” on the rough draft for the sequel two days after Hunger Makes the Wolf was released in the US. I am in the process of editing it right now. MAYBE EVEN AS YOU READ THIS VERY POST. If you’d like to get the updates as they come, hey, I have a mailing list! I appreciate all the support and kind things y’all have had to say about my sweary space witch biker lady friendship book so far. It’s meant a lot to me! And if I can ask one more favor… if you enjoyed it enough that you want a sequel, pretty please go at least rate the book on Goodreads if you do that, Amazon, or wherever you happened to buy it from. That really, really does help. Reviews are like unexpected unbirthday presents! Also, if you have a card at your local library, consider asking them to get the book so other people can enjoy it. Thank you, everyone. Keep reading! PS: Slightly-less-FAQ answer: Why yes, Coyote and Dambala are totally banging. They’re basically shitbag murderhusbands.